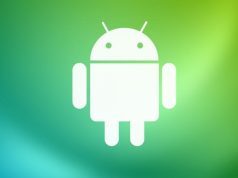 Trying to boot into the Safe Mode of your Android phone? There are four ways to boot into Android Safe Mode and here is all of them with a detailed how to guide. 4 Ways to Boot Android Phone into the Safe Mode: If you are looking to boot your Android device into the safe mode then you are at the right place. Before proceeding to the methods let me give you a quick glimpse of the advantages and uses of booting your Android device into the safe mode. Android devices are booted into the safe mode because of several reasons. It can be like third-party apps crashed frequently, apps not responding, freezing of the device frequently, experiencing lags while performing any tasks and so on. In order to overcome all these problems, Android devices are booted into the safe mode, once you are in safe mode you can uninstall apps that may look suspicious. Now in this post, I will show you that how you can boot your Android device into safe mode easily. In order to boot your device into the safe mode follow the methods and steps given below. There are 4 ways to boot the Android phone into Safe Mode. I have listed all of them below. Step 1: Firstly unlock your Android device and enter the Home. Step 2: Secondly press the Power key for approx 20 seconds. Step 3: Now press the Power off option which has popped up on your screen. Step 4: Once your device has been shut down completely, press the Power key and hold it until it shows a pop-up confirmation for safe mode. Step 5: Once the pop-up for Safe mode appears on your screen, tap and confirm it. Step 6: Now once you have confirmed you have to wait for 1-2 minutes, in order to enter into the Safe mode. That’s it. Once the process is completed, you have successfully booted your Android device into the Safe mode. If Method 1 didn’t work for you, not a big deal, we have another method. This process is similar to the first method with a slight change. Step 1: Unlock your Android device and enter the home screen. Step 2: Press the power key for approx 20 seconds. Step 3: Now instead of pressing the power off option you need to press on the Reboot option which has popped on your screen. Step 4: Now while your device is restarting you can hold both up and down volume keys simultaneously for approx 30 seconds. Step 5: Once the pop-up for Safe mode apperas on your screen, you can confirm it. If both the methods didn’t work for you, then here is a simple and short method which may boot your Android device into the Safe mode. Step 1: Unlock your phone. Step 2: Now power off your phone completely. Step 3: Once your device is completely powered off, you can try pressing Volume up + Volume down + Power key simultaneously for few seconds. Step 4: As a result, you will enter into the recovery mode of your device, Now under recovery option be little careful, as there are some options under recovery mode which may lead to severe action on your device. Step 5: Under Recovery Mode, you will be able to enter into the safe mode. So by following this above simple steps, you will be able to your Android device into the safe mode. If you are still stuck, and any of the methods haven’t worked for you, here is the last method you can try. This method is as simple as it can get; you just need to Press and hold the power key for more than 1 minute and see whether the Safe mode pop-up shows on your screen, you have just to confirm it. That’s it for now. I think one of these above methods should work with any Android device. Let me know if you still not able to boot into Recovery Mode with the make and OS version of the Android device in the comments.